One of our largest projects to date was the production a furnace casing. 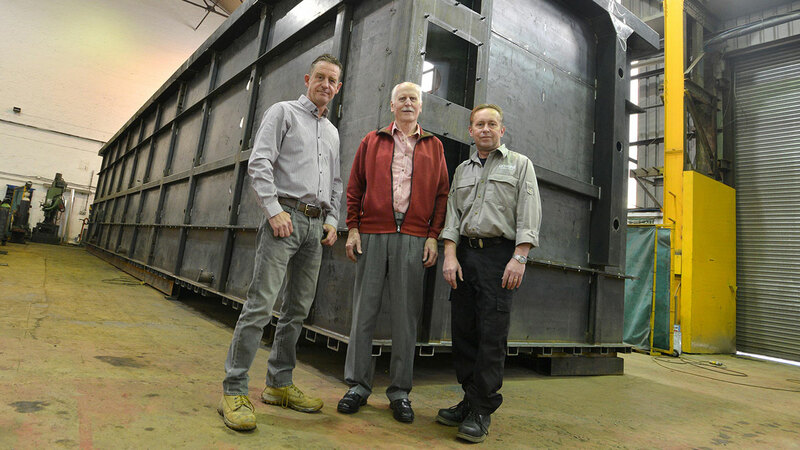 It measured 18 metres long x 4 metres wide x 3.5 metres high and was ordered by Hasco Thermic Ltd, a front-runner in the supply, design and manufacture of hot-dip galvanizing plant. Our modern workshop with crane rail height of 12 metres allows us to manufacture large fabrications and structures. Our overhead cranes allow us to carry out work on this scale. The huge casing was transported to the Transvaal, South Africa where it is being used to hot dip galvanize a large range of steel product.